Available in print in the size and medium of your choice. 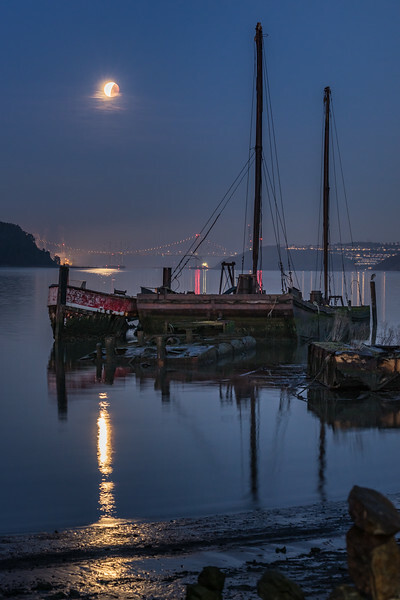 The January 31st, Super Moon, Blood Moon, eclipse reflecting off an unusually calm Carquinez Strait. From downtown Benicia.